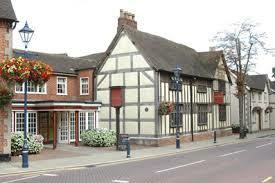 The Ramada is a very short distance from Junction 5 of the M42. With extended facilities, there is now room for even more observers, who are encouraged to sit in on our Saturday meetings, This isn’t just for Programme Action officers; all Soroptimists are very welcome, whatever position (or, indeed, none) held in a club. Why not come along and join us at our next meeting; we’d love to see you – just mention it to your Regional PAC Chairman and she’ll book you in. There will be a charge of £25 to cover coffees and lunch. The day finishes at 3.00pm promptly.